Last night’s earwig mission was quite good! Only about ten of them versus the thirty plus every other night. I think the cooler air has been helping. Everything seems to be going well though, growing ok and making progress. The passionfruit has quite a few flowers going on it. 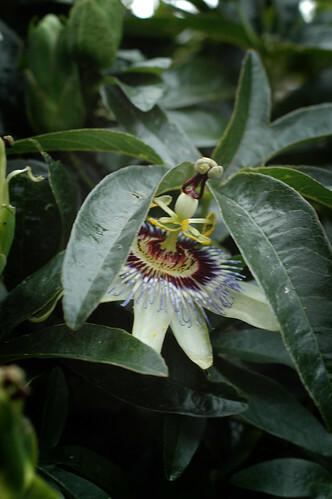 I’ve never seen passionfruit flowers until about 3 weeks ago – they are so cool! Very alien. 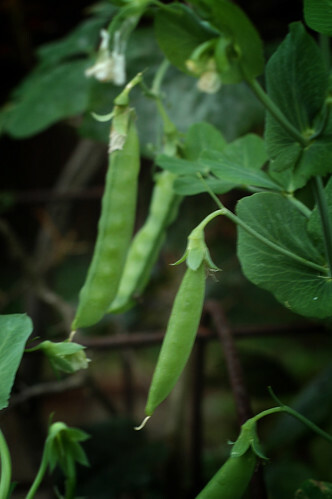 And the beans/peas are doing awesome!! Jacob’s been sneaking them when he’s out in the garden… Yum!